51Talk, the premiere online English school in China and now in the Philippines, recently introduced "Make the Choice" program directed at Filipinos looking for an alternative career that gives them the option to work from home with flexible working hours. Since locals are known to be very proficient in English, online teaching is a very viable career which can be done by almost anyone in the country. “Having an online classroom allows instructors to create a schedule around their daily routine. Plus, they don’t have to worry about a long commute. This gives them even more time to spend with their families, which we noticed is a priority for most Filipinos”, says 51Talk COO and co-founder, Shu Ting. 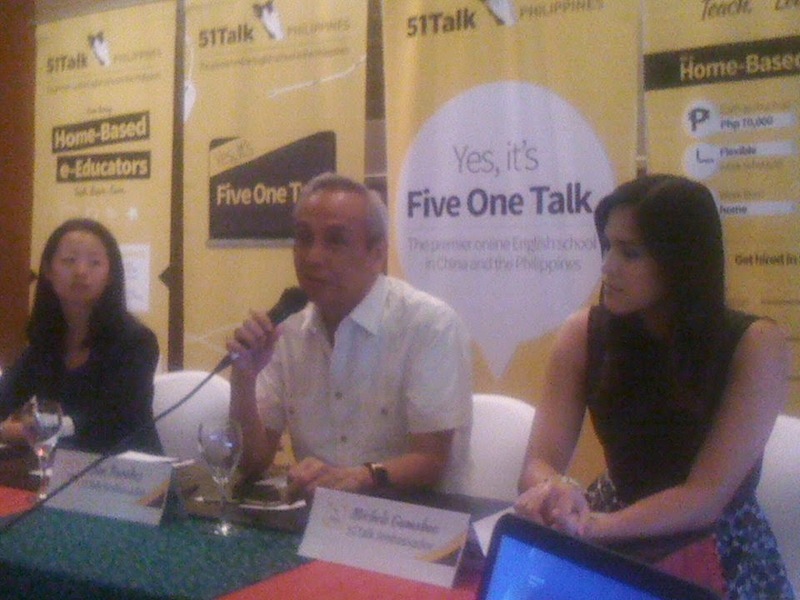 51Talk also introduced three ambassadors to help inspire Filipinos – Delamar Arias, Michele Gumabao and Jim Paredes. With the 51Talk, women will be able to choose a future for themselves on their own terms and one that would make them happy. Moms may now work at home and still be hands-on in molding their children’s young minds. More homemakers will be able to help guide and support their kids through the complexities of growing up without any worry that they are missing out on anything by working. Make the Choice program integrates language and technology and thus gives a perfect fit for Filipinos looking for a career. DJ Delamar Arias joins the 51Talk team in understanding how mothers would like a flexible schedule. A mother herself, she believes that each individual holds in his hand the power to change lives and earn well by using their English-speaking abilities. Athlete and wellness advocate Michele Gumabao uses her skills to teach others that one can achieve whatever he sets his mind to through perseverance and patience. She constantly encourages her fans to finish their studies and relentlessly chase after their dreams. Jim Paredes, Filipino musician, writer and educator, engages learners through workshops and classes. He uses Social Media to educate and empower. Professionals, students, fellow artists and educators look up to Jim because of his ability to remain consistent in his craft. Passionate about learning and creativity, he encourages learners young and old alike to pursue their dreams and confidently go in the direction they’ve always dreamed of. 51Talk was founded in 2011 by Huang Jia-jia and Shu Ting. It opened its first 51Talk office in the Philippines with less than 30 people on the team when the demand for learning the English language continued to increase. It wasn’t long after the Manila site was established that another office in Baguio opened. By the first quarter of 2013, the number of learners reached two hundred thousand, generating a remarkable increase in income. 51Talk Shanghai opened at the end of 2013, resulting in the enhancement of sales in the south west China market. 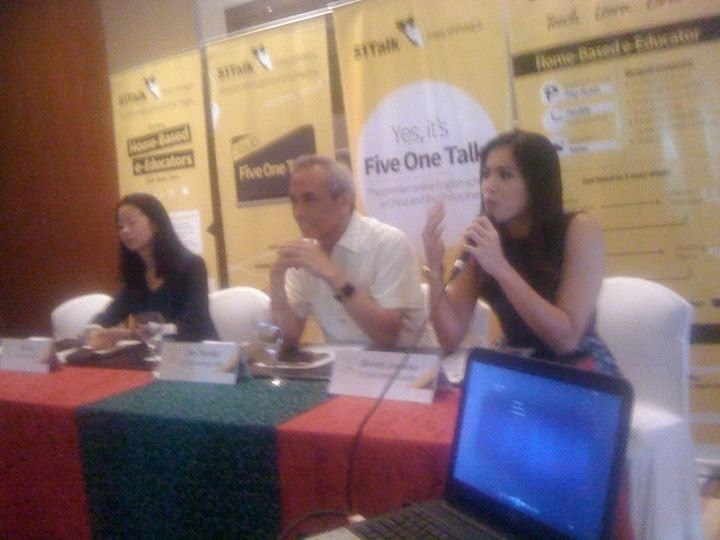 As the leading online ESL company in China and the Philippines, the team introduced the 51Talk Club last July 2014 as the first offline experience center of the company, which set the O2O business mode for 51Talk. Today 51Talk continues to provide quality education and career stability to learners with more than 1,000 e-Educators across the Philippines. Get daily suggestions and guides for earnings THOUSANDS OF DOLLARS per day FROM HOME totally FREE.